GCBH states that it is possible to improve one’s sense of mental well-being regardless of age or physical ability. Relating well to others and having good emotional control are important in mental well-being. 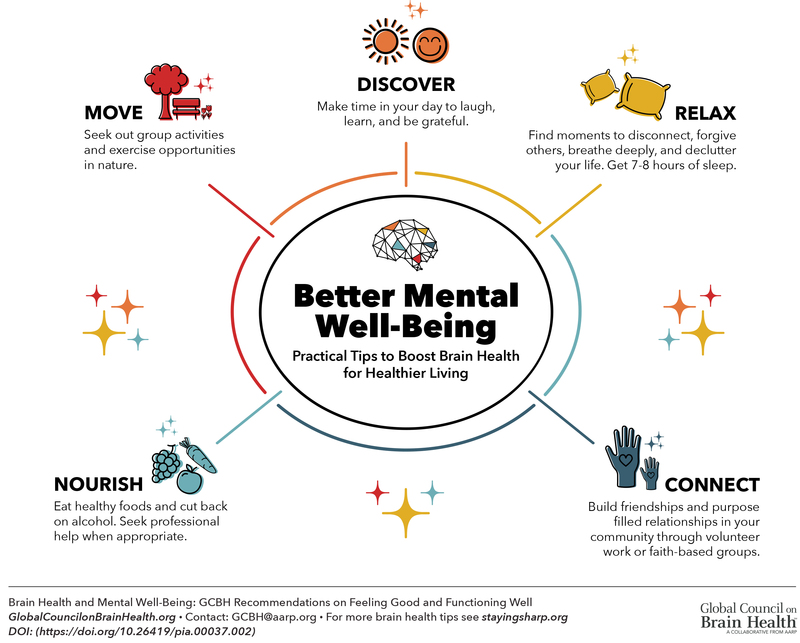 Ways that the GCBH recommends that people can improve mental well-being are exercising, strengthening relationships with family and friends, relieving stress, learning how medications might impact mental and emotional clarity, and getting enough sleep. Click here to read the complete list of recommendations. PMC Co-Director Jason Karlawish, MD, is a member of the GCBH Governance Committee. Convened by AARP with support from Age UK, the GCBH is an independent international group of scientists, health professionals, scholars and policy experts working on brain health issues. The goal of the GCBH is to review the current scientific evidence and provide recommendations for people so that they can maintain and improve their brain health.